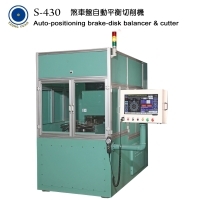 1.Automatic position manufacturing fast and accurate. 2.Digital testing reports, through SD card or USB send it to computer. 3.Setting ISO testing level or enter own unqualified amount. 5.22” touch screen, showing unbalance angle, weight, speed. 8.Manufacture, repair, research and development all made in Taiwan. 9.Industrial PLC control, increasing system stability.